Color promotional flyers are a great way to get the word out to parents about your upcoming class. 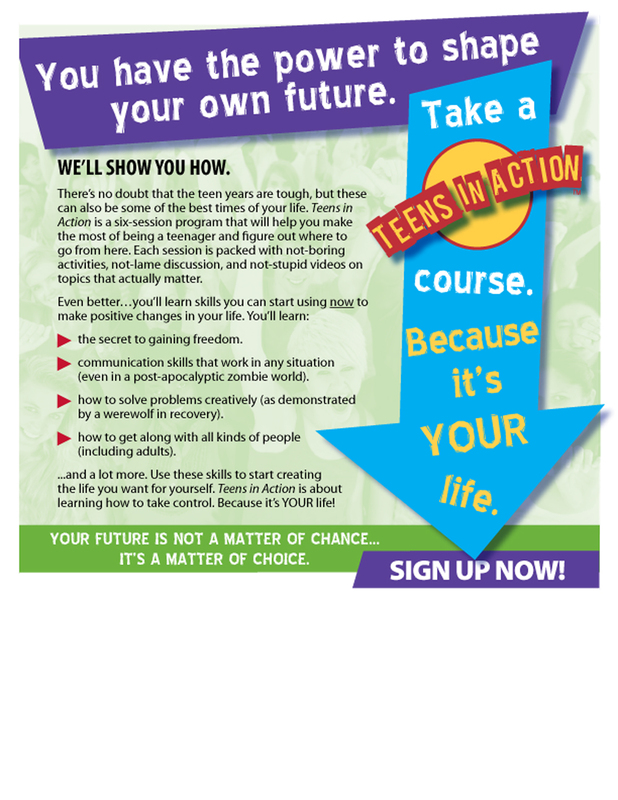 This downloadable flyer is available FREE to owners of the Teens in Action program kit. Just add your class details in the spaces at the bottom, then print copies. We’ve designed it so that it looks appealing printed in color or black and white.